St. Paul is writing here about those who heard his preaching and received it as the very Word of God, as opposed to those who would not receive it. He relates those who opposed the Word of God to those who rejected Jesus, killing both Him and the prophets of old who spoke the word of the Lord. We live in a time when again there are those who hear the Word of God, in Scripture and in preaching, yet will not receive it. 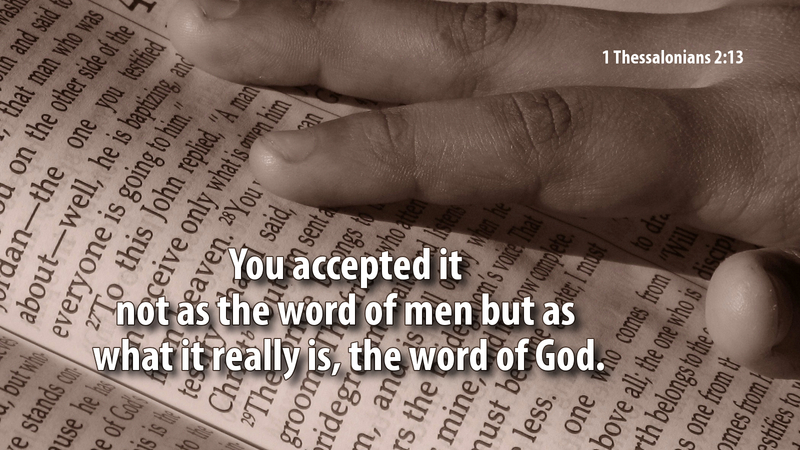 To dismiss the Word of God, they pick and choose what is God’s Word and what is not. They claim the Bible, for example, “contains” the Word of God, but will not say that the Bible “is” God’s Word. There is a world of difference between these two statements. The first opens the door to doubting and questioning God’s Word so that there is no certainty with regard to Holy Scripture. The first sets humanity over God’s Word. The second affirms that God’s Word stands over humanity. To say that the Bible is God’s Word means that God’s Word judges us, rather than the other way around. For example, it is all too common today for people to doubt and question that Jesus was conceived in Mary by the Holy Spirit, apart from human biological processes. They claim such a thing could not happen, asserting that it really doesn’t matter if Jesus was born of a virgin. To doubt the virgin birth, however, leads one to doubt whether a dead man could be raised from death! Logic and human reason and natural processes don’t prove or disprove the Scriptures. Rather, the Scriptures proclaim God’s actions that are above and beyond nature and science—indeed, the Scriptures announce God’s super-natural activity! Prayer: O God, make your Word dwell in us richly—as we receive the Word made flesh to dwell among us, Jesus Christ our Lord. Amen. Advent Action: Write down a favorite Bible passage to keep before you during Advent—on your phone, in your car, on your bathroom mirror—so that you see it and read it every day.